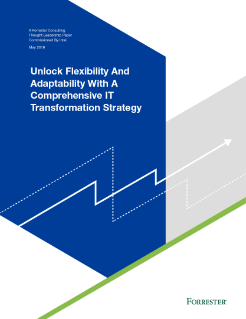 Intel commissioned Forrester Consulting to evaluate IT transformation strategies and implementation, including the challenges faced and benefits realized. Forrester conducted an online survey with 606 respondents with responsibility over IT strategy at their organizations in the U.S., UK, Germany, India, China, and Japan. We found that while some aspects of IT modernization can be challenging and ...complex, companies recognize that a comprehensive strategy will allow them to stay competitive and innovate.